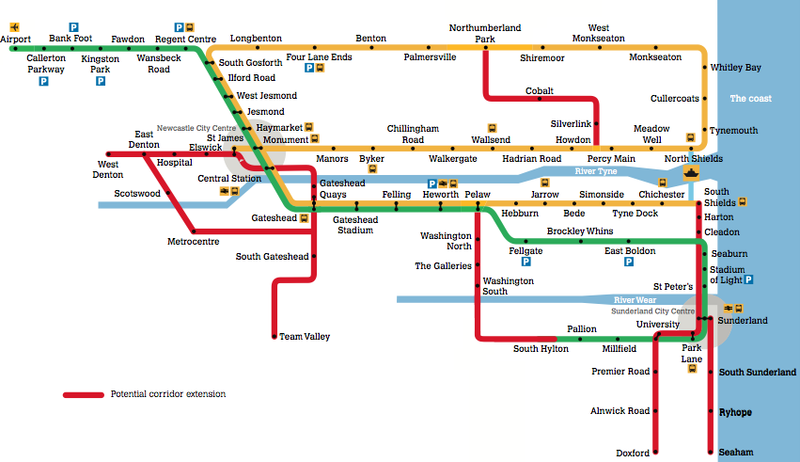 The Tyne and Wear Metro could be expanding, to serve places like Washington, Newcastle's West End and the Silverlink. The Metro strategy is a blue print for the future of Metro services by the year 2030. The key objective is to get a new fleet of trains. The existing Metro trains have been in operation since 1980, and will need to be replaced in about ten years or so. Nexus, who run the Tyne and Wear Metro, will be making the case to Government now, in the hopes the new trains and possible expansion can be in place in the next 15 years. The strategy also identifies a series of potential new routes where we could extend the Metro system to meet the needs of each location by looking at either new Metro lines or even street running trams. These new locations include Silverlink in North Tyneside, Team Valley in Gateshead, The MetroCentre and Newcastle's West End. It is the start of a long process, because funding worth hundreds of millions of pounds to be able to deliver these proposals needs to be found first. "We've developed a long-term strategy for Metro which explains how it will continue to play a vital role in providing sustainable transport vital to the region's prosperity. They key objective is to secure a new fleet to replace the existing trains, which has been use since 1980. It also identifies a number of new route corridors potentially suitable for Metro operation, using the most appropriate technology to meet the needs of each location. This could mean Metro or something similar, like street-running trams, or high quality bus routes. New trains will deliver several important benefits including improved accessibility and performance, better environmental performance and reduced energy consumption."